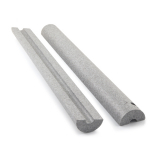 Pipe insulation can be used across domestic, commercial and industrial applications to conserve energy, to reduce frost build up, to minimise condensation and to provide some fire protection. 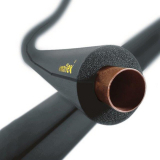 Armaflex and Eurobatex are both fantastic brands that provide pipe insulation in thicknesses from 9m to 32mm and in a range of pipe diameters. Each diameter and thickness is available in 2m lengths so pack sizes are suitable whether you’re purchasing for a DIY project and extra insulation around the house, or if you’re stocking up your supplies for your next few jobs. This pipe insulation can be fitted retrospectively thanks to split lagging or they can be applied as you install. 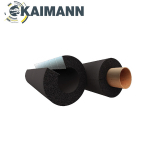 Suitable for insulation hot and cold water services, ductwork, refrigerated pipework and more, all pipe insulation from Drainage Superstore is flexible and durable. Dust and fibre-free, Armaflex and Eurobatex pipe insulation products have all demonstrated a zero surface spread of flame. This means the pipe insulation can be used to combat thermal bridging and to help protect against fire in general in domestic, commercial and industrial areas. The benefits of pipe insulation include that you can save money on bills by reducing repair work needed due to damage from frost or condensation. There’s also the possibility that you can save on heating bills as the pipes are insulated to retain their warmth for longer.